What makes a Santoku Knife different from a Chef’s Knife? 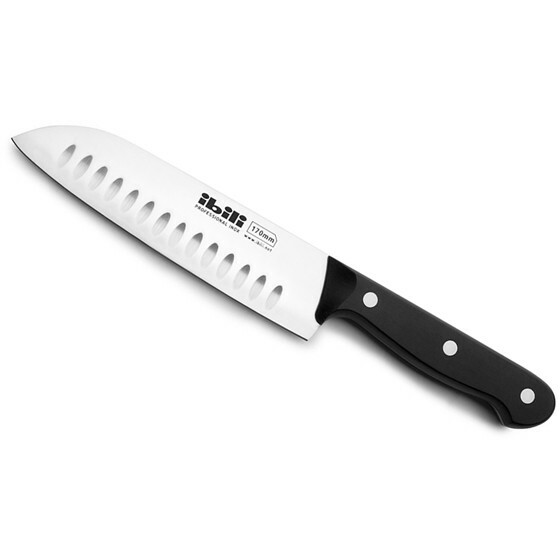 To review – the word Santoku has Japanese historical significance that means ‘three virtues’. The ‘three virtues’ a Santoku Knife contains is chopping, dicing, and mincing. The Santoku Knife is the Japanese Cook’s Knife that combines the features of a clever with a Chef’s Knife. When comparing the Santoku Knife vs. the Chef’s Knife, the Santoku Knife is designed more for cutting vegetables while the Chef’s Knife is used as more of a multi-purpose knife. The Santoku Knife is becoming one of the most popular knives on the market and is known for its versatile use in the kitchen. When cutting thinly sliced vegetables, you will find that you will do that with ease when using a Santoku Knife. The blade is constructed with a fluted edge which makes paper thin slices and prevents food from sticking to the blade. Vegetables (or any sticky food) will fall off the blade with ease! Some Santoku Knives are fluted, creating small air pockets against the food you’re cutting, and forcing the food off of the blade so you don’t need to use your fingers to remove it. Victorinox has several different types of Santoku Knives that are all priced affordably considering the prestigious handcrafted workmanship and quality that goes into their craftsmanship. 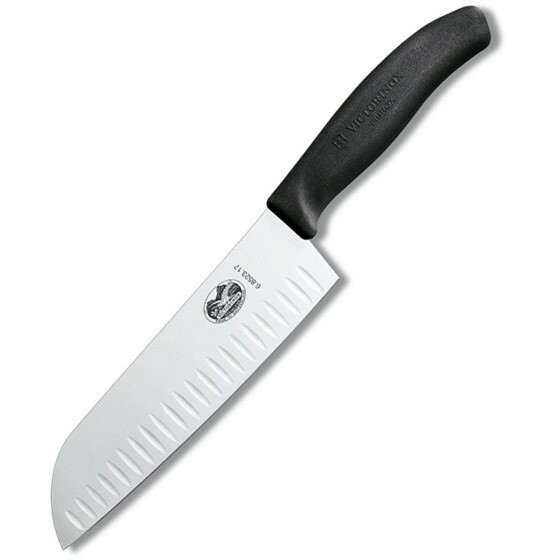 See two of our top selling Victorinox Santoku knives below.